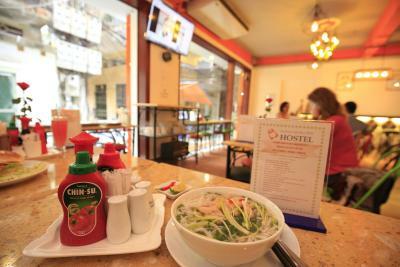 Lock in a great price for Old Quarter View Hanoi Hostel – rated 9.3 by recent guests! Very enthusiastic and helpful staff. Clean rooms good location. Clean bathrooms. The location is perfect. The rooms are clean and the breakfast is tasty. Location is great, and close to where all the action is, with it still being tucked away in a little alley so you don’t get all the noise and can sleep perfectly well! They offer free beer from 6-6:30 pm, the beds are very comfy (although some said too soft), there are private bathrooms in the smaller dorms and other bathrooms and showers you can access if yours are full. They give you towels and breakfast is quite good. Staff were helpful. Very clean, and beds have comforters and curtains! They give you a key for your small locker as well. 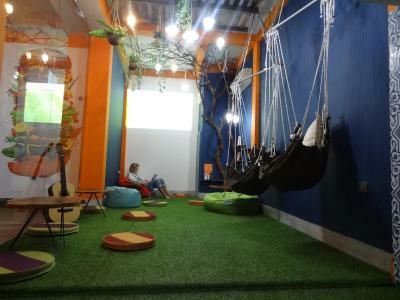 What a fabulous hostel! The staff are amongst the most accommodating we experienced in Vietnam...they strive to go above and beyond! We booked a private, TINY room on the 6th floor w a bunk bed and private bath. Not easy to move around but it was quite and as I said, private. It also had a nice balcony. The breakfast was simple but as far as I'm concerned, complimentary breakfast is always a plus and you cant beat the value! Plus free beer for 30 minutes! We loved the location, tucked in an alley but right in the middle of the mayhem! So much to see and do. Great experience, would highly recommend. Perfect location, very clean and quiet. I like this hostel. The facilities were very nice and clean, they had soft beds. Allowed to get a clean towel as often as you want to. Location is amazing right next to beer street but far enough to be quiet at night. This is a really hard review for me to write. I've never experienced such dichotomy among a place I have stayed. The facilities were great, the staff was amazing, and breakfast and unlimited coffee a great start. Meeting others was a breeze with their free walking tour (and this was a local run, not a generic tourist tour) and happy hour. Great memories and friends made here. 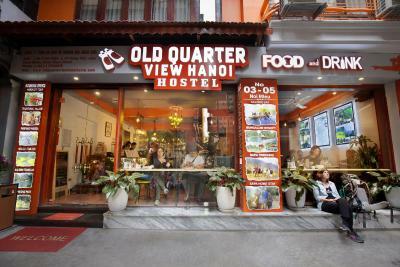 Old Quarter View Hanoi Hostel This rating is a reflection of how the property compares to the industry standard when it comes to price, facilities and services available. It's based on a self-evaluation by the property. Use this rating to help choose your stay! 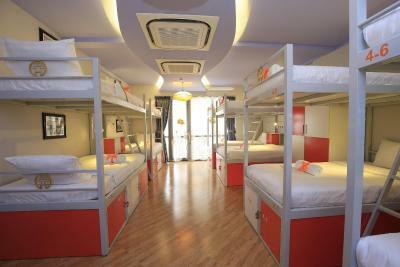 Attractively set in Hanoi, Old Quarter View Hanoi Hostel provides 2-star accommodations close to Old City Gate and Dong Xuan Market. 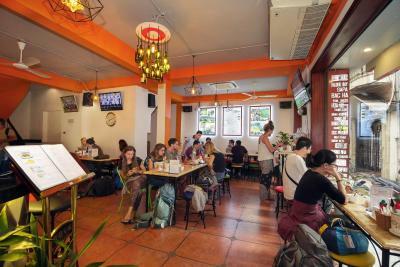 An 11-minute walk from Thang Long Water Puppet Theater, the hostel has a terrace and a shared lounge. Hoan Kiem Lake is 0.6 miles away. 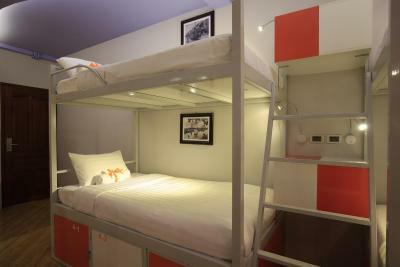 At the hostel, the rooms are equipped with a closet. Free WiFi is accessible to all guests, while selected rooms come with a balcony. A continental breakfast is available every morning at the property. Speaking English and Vietnamese at the reception, staff are willing to help at any time of the day. 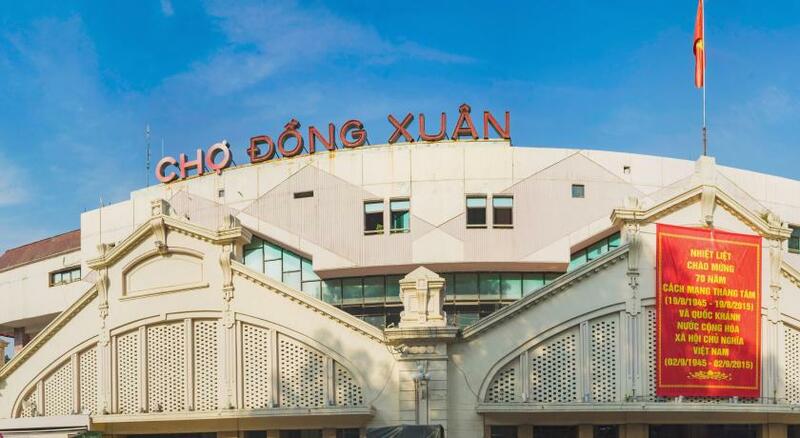 Popular points of interest near Old Quarter View Hanoi Hostel include St. Joseph Cathedral, Trang Tien Plaza and Hanoi Opera House. The nearest airport is Noi Bai International Airport, 16 miles from the property. 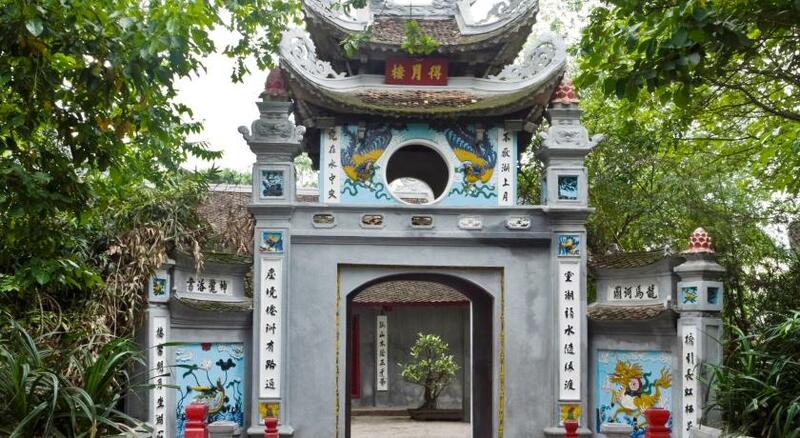 Hoan Kiem is a great choice for travelers interested in shopping, street food and atmosphere. 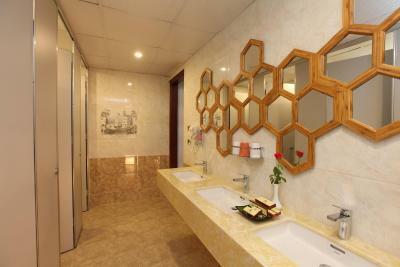 This property also has one of the top-rated locations in Hanoi! Guests are happier about it compared to other properties in the area. 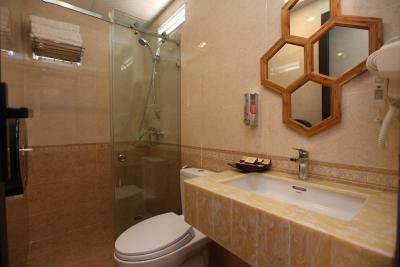 뀐 Located in the real heart of Hanoi, this property has an excellent location score of 9.5! 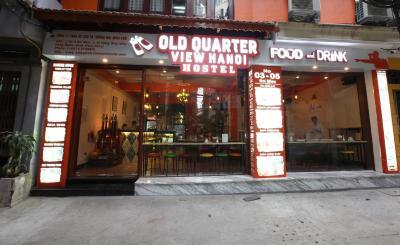 When would you like to stay at Old Quarter View Hanoi Hostel? 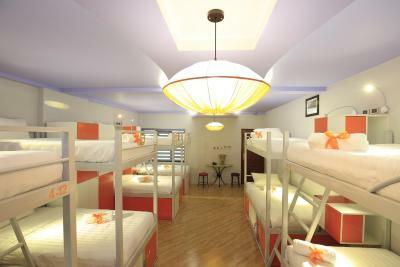 This bed in dormitory has a balcony, seating area and tile/marble floor. Private parking is available at a location nearby (reservation is not needed) and costs VND 3 per day. 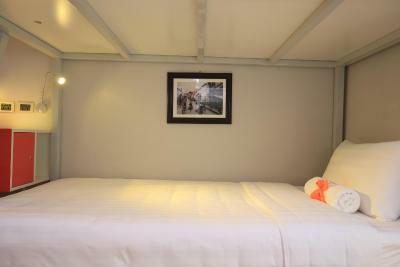 This bed in dormitory features a balcony, soundproofing and tile/marble floor. This bed in dormitory has a soundproofing, air conditioning and tile/marble floor. Area Info – This neighborhood is a great choice for travelers interested in shopping, street food and atmosphere – Check location Excellent location – show map Guests loved walking around the neighborhood! 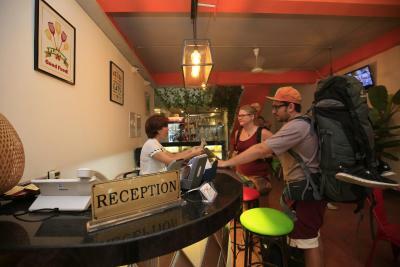 House Rules Old Quarter View Hanoi Hostel takes special requests – add in the next step! Old Quarter View Hanoi Hostel accepts these cards and reserves the right to temporarily hold an amount prior to arrival. Only thing it’s missing is a rooftop bar and a longer happy hour. 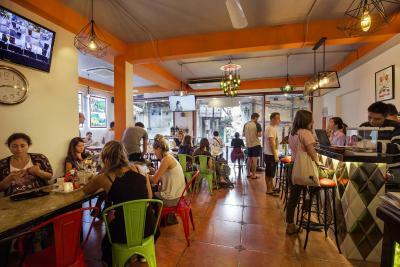 Great hostel with good location in the midst of the Old Quarter, 5 mins walk to Hoan Kiem Lake and to good food spots. Staff was very friendly and always smiling. Will miss Trinh and the kitchen guys! Breakfast was very delicious. 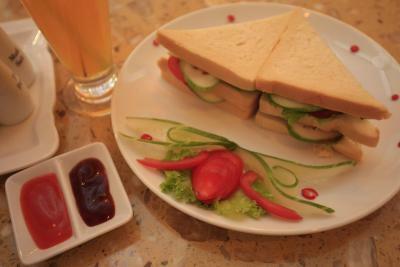 Good breakfast.introduce good information about the place we want to go. The free walking tour felt like a waste of time - having seen a Hanoi now, it seems there are so many better places they could bring people on this tour, especially like it’s usually peoples first or second day when they participate in this. The hostel doesn't have a lift. That becomes very noticable when staying on the 6th floor. The female dorm was very comfortable and clean and had a homely feeling. The breakfast menu had options for everyone and there were fruit, coffee, tea, water and juice to choose from during breakfast hours. There is also free beer everyday between 18:00 and 19:00. I loved the location - It's in Old Quarters, but it wasn't noisy at all. Highly recommended, I'd stay here again on my next trip to Hanoi. Love the atmosphere, specially during the happy hour. Got to meet alot of new people and socialize and everyone was drinking together. Good environment and staff was very friendly and helpful. Definately enjoyed the breakfast. 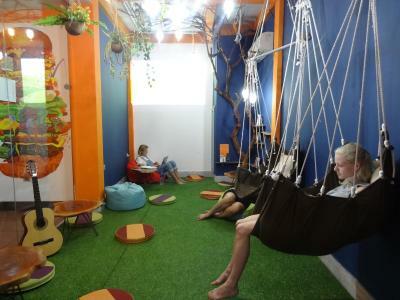 The hostel exceeded my expectation and would definately return. I have booked this property for more than 3 times, that sums it all up! I just love the place. 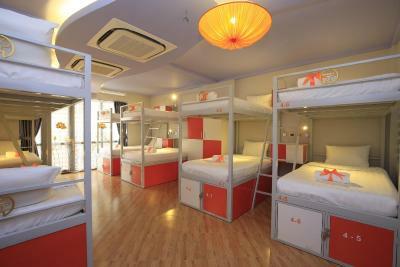 I call this place, the hostel with a magical bed! Staff - fantastic and so helpful! Location - the "quieter" side of the area. Room - clean and well maintained. 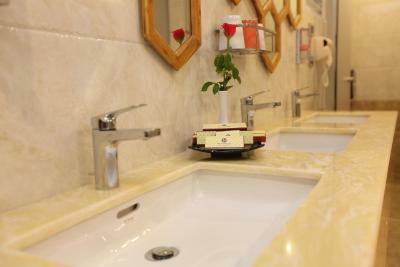 Bathroom - clean and well maintained. 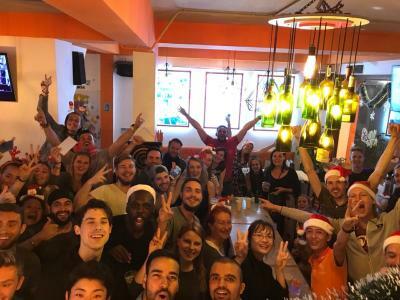 Location (hidden away, no noise), awesome staff if you get to know them, buzzing energy which means a lot of social hangouts. Really good price for what you get, they completely clean everything in the room every day. 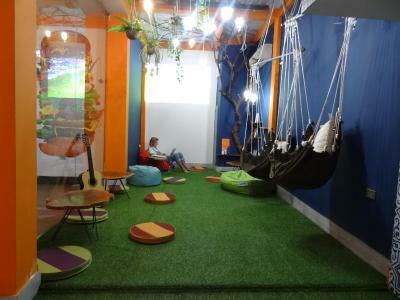 I loved the super friendly vibe at the hostel. 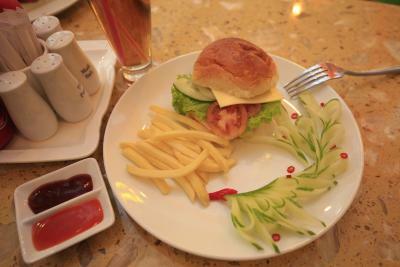 Especially Phuong Mai - one of the staff - made my stay special. She is such a lovely person, helped me whenever I needed assistance. I've never felt so welcomed in a hostel before. 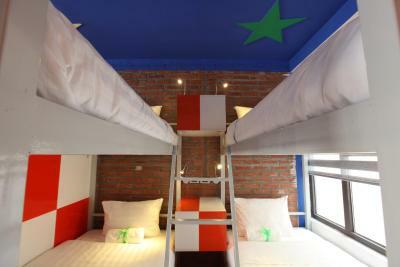 That's why I will always return to to this hostel whenever I'm in Hanoi which I've already did three times! Big thank you to Phuong Mai!